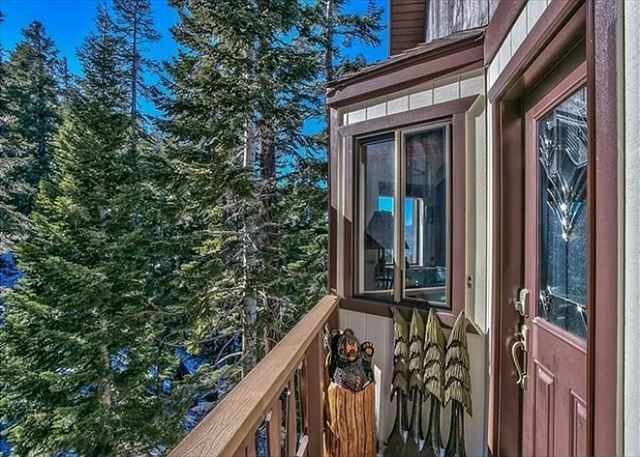 You will enjoy amazing lake views and great sunsets from this condo. 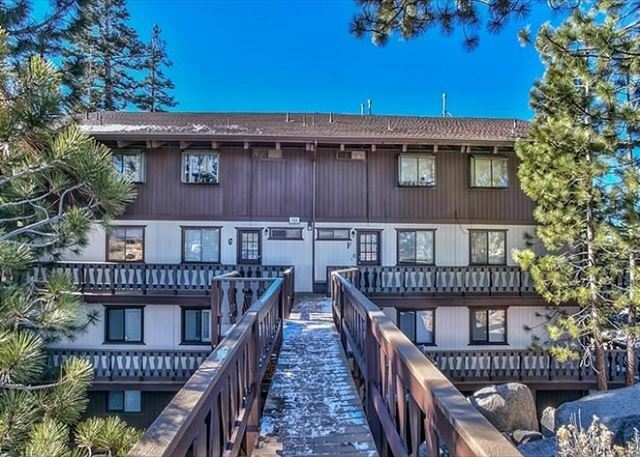 A cozy one bedroom with a loft next to the Stagecoach Lodge and Boulder Lodge at Heavenly. The kitchen is a great place for cooking and entertaining with friends any family, granite counter tops, flat cook top and stainless steal appliances. 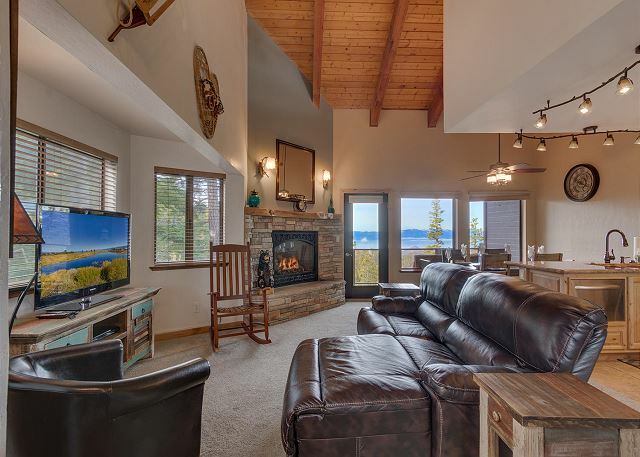 The living room has a new gas fireplace that will warm you up on a winter day, the kitchen is open to the living room. 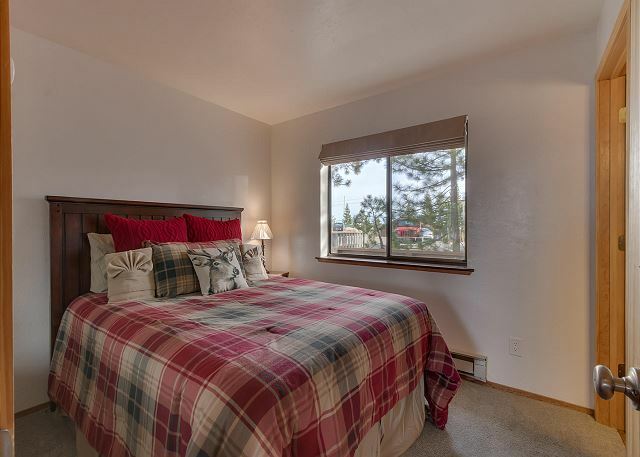 The first bedroom is off the living room, has a queen size bed and full private bathroom. 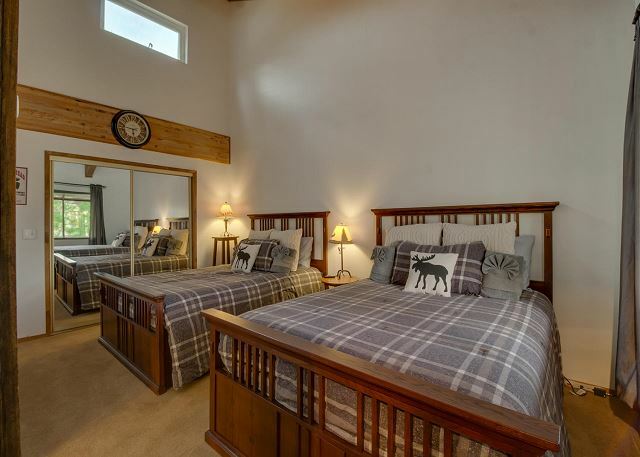 Above is a large loft with two queen size beds and a full private bathroom. 2. You are only allowed 6 persons at any time at the house. This includes any dinners or gatherings you may have. 3. 2 cars allowed at house at any time. There are 2 unassigned parking spaces at the condo complex. There is no street parking per county and fire safety rules. Failure to comply will result in loss of security deposit. This apartment is truly exceptional. 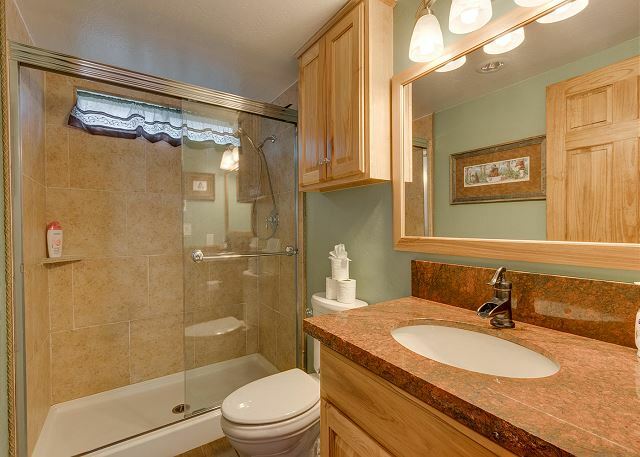 The kitchen is well equipped, the fireplace is warm and toasty and the bedrooms are great. having two bathrooms, doesn't het either. What was icing on the cake was the welcoming present. Kudos to the owners, an exceptional place to stay! For wintersport fans, the busstop to the Stagecoach lift is literally in front of the apartment, it couldn't be easier. Can&#x2019;t wait to stay here again! Stayed in the honeymoon lodge for 4 nights for a girl friends' weekend getaway. The property was perfect! It was clean, spacious, safe, and the view was gorgeous. 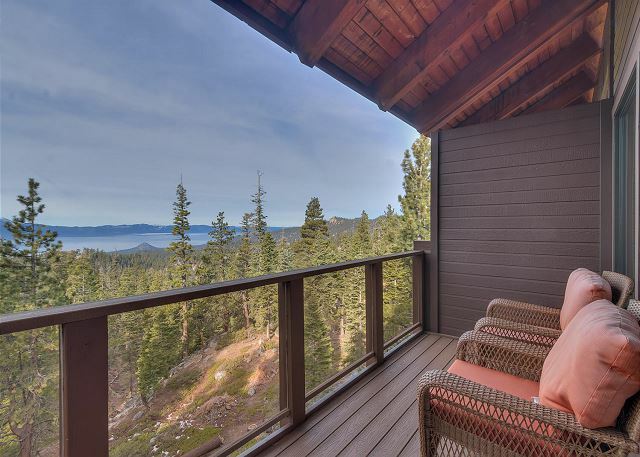 Imagine waking up every morning and sipping coffee on the deck. Kitchen has all appliances and tv has hdmi cable. Location was also perfect - far away from the hustle bustle of tourist-heavy areas but also close to heavenly village and the major highway. All in all, this was a great place for us to stay! 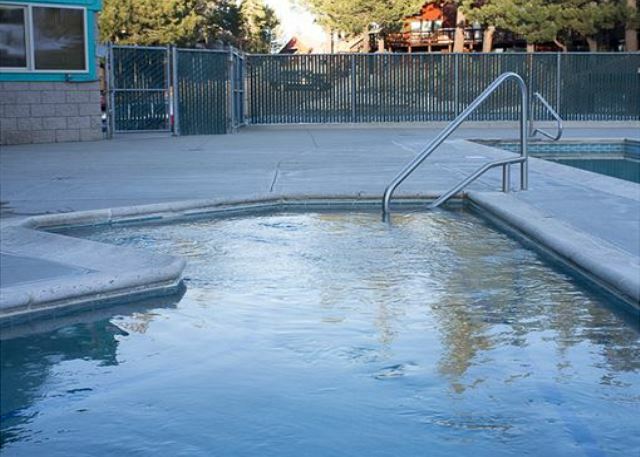 Our time in Lake Tahoe was AMAZING! 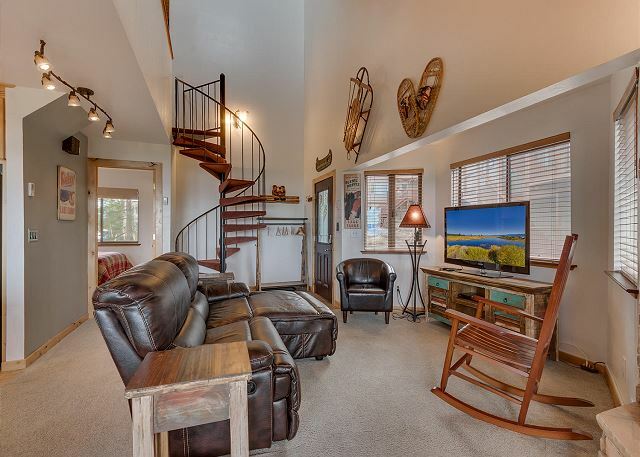 The property truly is as pictured with BREATHTAKING views. Working with Heidi and Jeren at World Class Property Management was without a doubt a WONDERFUL beginning to our trip. Their knowledge and enthusiasm of the property made for a perfect match for our group of four! Thank you both so much for all your suggestions as we navigated the beautiful Lake Tahoe area for the first time ! FYI viewing the fireworks ?� from our balcony with a glass of wine was a spectacular way to end the 4th !!! The rental was extremely clean and well appointed. Modern, relatively large kitchen with everything needed for making full meals. Comfortable living space. Amazing views. Would definitely stay here again. 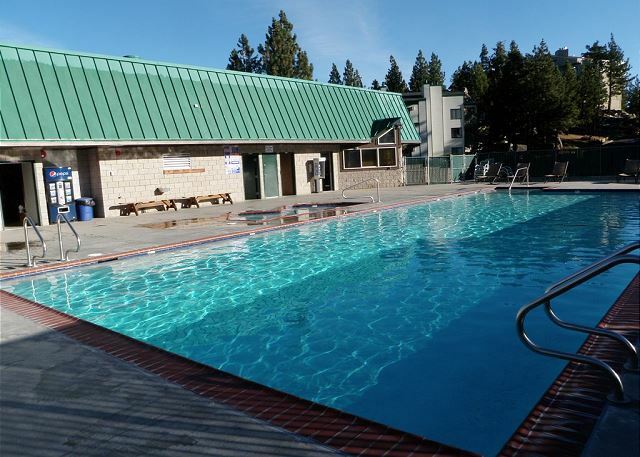 Very clean, comfortable, and convenient to Stagecoach Lodge. Absolutely loved this condo! 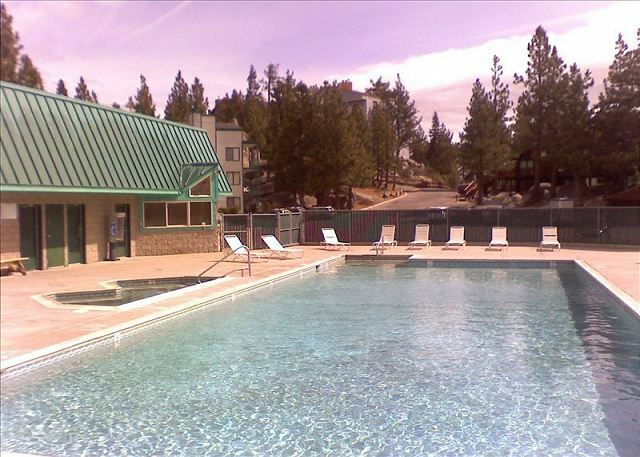 The view is spectacular, the kitchen has nice appliances, and having washer/dryer is very handy. It was perfect for my husband and me. The keyless entry made check in so easy. We had no problems at all and will definitely book this property again when we return. We are glad that you enjoyed the condo. We hope to see you again. 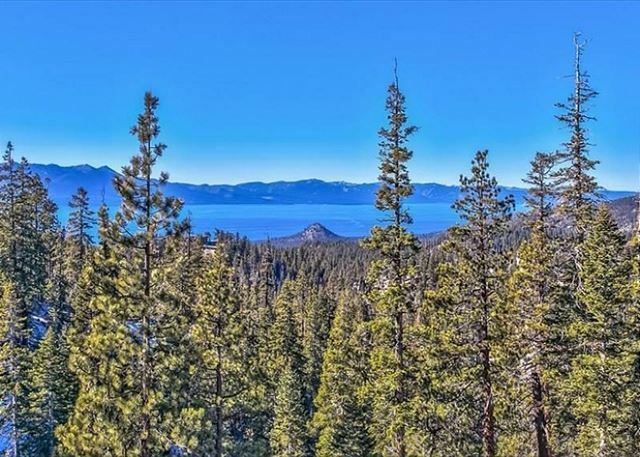 Great Property with AWESOME VIEW! We were there to experience the celebrity golf tournament. The property was very clean inside and out. The Inside of the unit was AMAZING! We would stay there again. Amazing views with perfect location. Very impressed with this little condo. Clean, very inviting- lights and fireplace were on when we checked in. The manager was very easy to work with. We would love to come back with this company.